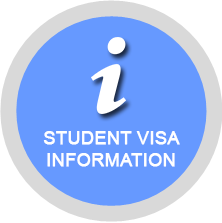 Non-immigrant ED visa (Student visa) for Thailand can be provided from 6 months to 1 year. The approval letter (1st letter) will be given from the Ministry of Education in Thailand. It takes about 3 - 4 weeks. Once it’s ready, the approval letter and school license will be sent you by mail. And then you have to apply an ED visa at Thai Embassy or Thai Consulate office outside of Thailand or your home country where you inform the school. Every student needs to extend visa every 60 - 90 days and also have to notify your address when you stay in Thailand longer than 90 days at the immigration office (Chaengwattnana Road.). The school can provide a ED VISA (Non-immigrant “ED”) from 3 months up to 18 months. When should I start to send the required document? If you would like to enroll in our program and obtain a student visa (Non-immigrant “ED”), you should plan and send all required documents to the school at least 4 - 6 weeks before you come to Thailand. Where can I apply a student visa (Non-immigrant “ED”)? The students have to apply a student visa (Non-immigrant “ED”) at Thai embassy or Thai consular outside Thailand. Some nationalities like Indians, Chinese, Pakistanis, Sri Lanka, Middle Eastern and African will need to apply from their home country. To apply an ED visa at Thai embassy in Vientiane, Laos The applicant must be make an online appointment before submitting your visa application. What should I do if I am in Bangkok? You can visit the school for sending the required document and wait the document for 2-3 weeks. 1. Fees are non-refundable and are not transferable to other term, other student and other package. 2. The student will study Thai language according to the school curriculum which be approved by the Ministry of Education and school. 3. If the student does not want to study, the school cannot support student to get an ED visa. 4. All fees are not refundable except the Ministry of Education deny giving an approval letter.